These are my favorite!!! I think I say that about a lot of things haha but these are SO good. Maybe because Japanese sweet potatoes are the best and I also could eat tuna every day. It's one of my favorite things to have for lunch because it's so easy to make when you need something quick and also super easy to prep and have for the week if you need! I'll top it on salads, sandwiches, and now sweet potato toast!! You definitely should give this one a try if you like sweet potatoes & tuna. Cut sweet potato in half and then cut pieces on each side to give you a flat piece of "toast"
Spray pan with avocado oil (I love the Chosen Foods Avocado Oil Spray) and spray on sweet potatoes. While sweet potatoes are cooking, make tuna by combining tuna, mayo, mustard and salt and pepper. 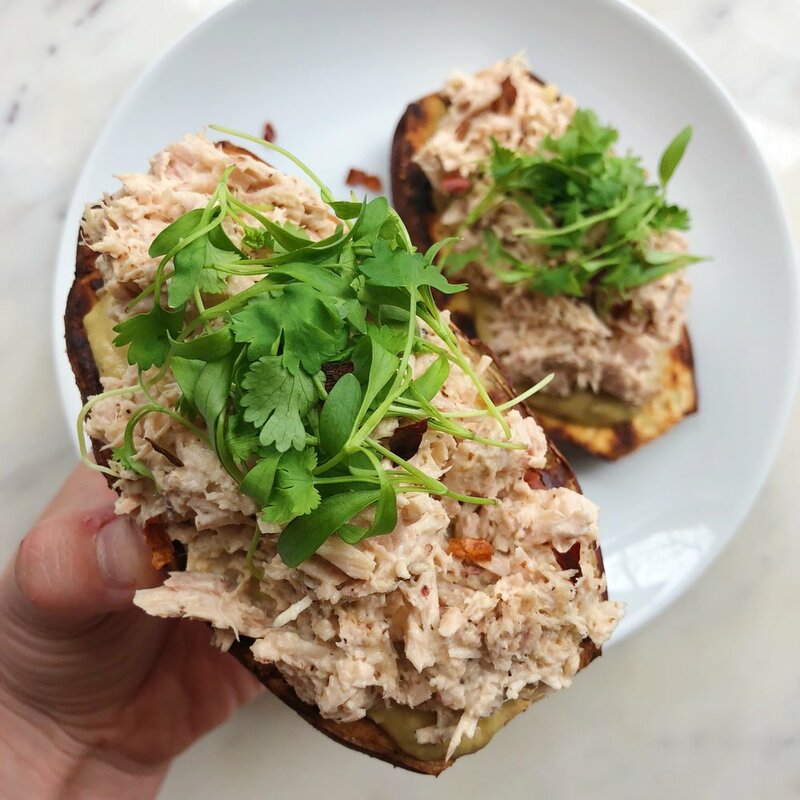 Top sweet potato with hummus, then tuna & micro greens!